Being an artist I'm always looking for new and interesting ways to display artwork. 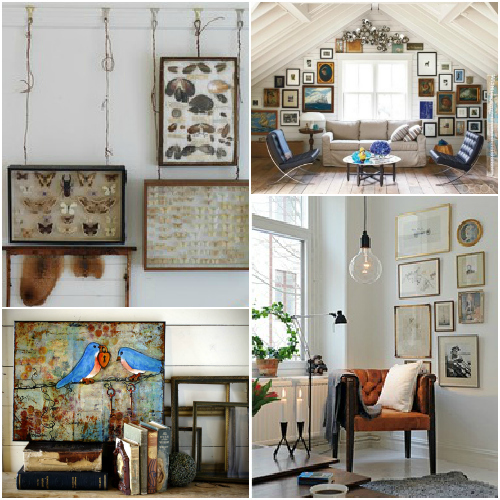 Today I want share with you 8 really fun ways to display your favorite artwork. I found my inpiration over on Pinterest and have even created a special artwork display ideas. See more art walls on my "Creative Ways to Display Artwork" Pinterest board.